Trainer Patrick Payne hopes race fitness is in Widgee Turf’s favour in the P B Lawrence Stakes. The biggest test of Widgee Turf’s career looms in the weight-for-age Group Two P B Lawrence Stakes at Caulfield against a star-studded line-up. Trainer Patrick Payne has had Saturday’s Lawrence Stakes (1400m) in mind for Widgee Turf for a couple of months and is hoping the bargain buy can strike rain-affected ground. Widgee Turf, who cost his owners $4500 as a weanling, has already amassed almost $740,000 prize money with nine wins and six placings from his 20 starts. His most recent start was a close second to Malaise at Caulfield last month and Payne is hoping against better-performed horses early in their preparations, Widgee Turf’s race fitness can come into play. “I think he’s going really well,” Payne said. The Lawrence has attracted 18 nominations including eight individual Group One winners. Darren Weir has seven nominations including Group One winners Black Heart Bart and Humidor while Saturday’s Group Three Aurie’s Star Handicap winner Voodoo Lad has also been entered. Other Group One winners nominated are last year’s winner Hartnell, Jameka, Harlem, Boom Time, Grunt and Mighty Boss. 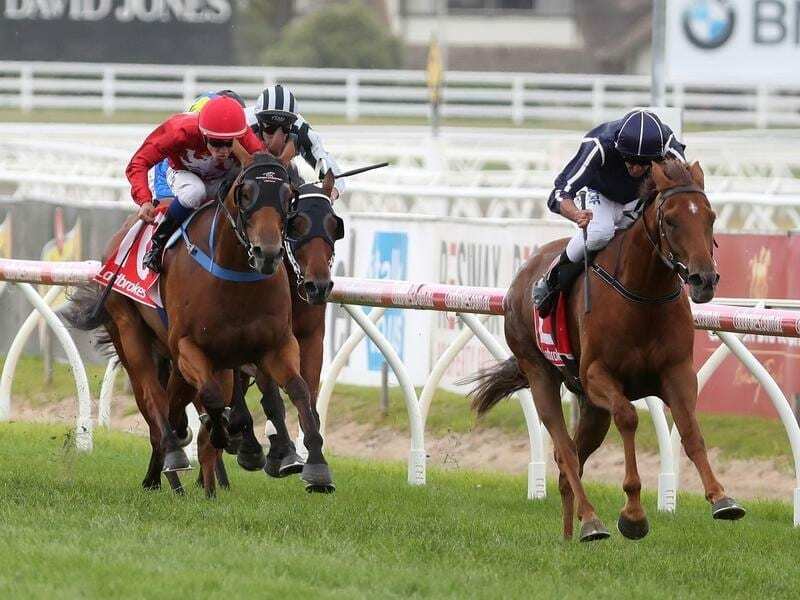 Widgee Turf continued preparations with a barrier trial at Cranbourne last Monday, working home well under little pressure in his heat over 990m to finish fifth of seven. “He’s not normally a great worker but he looked to go as well as ever,” Payne said. Widgee Turf won six of his 10 starts last season including the Group Three Victoria Handicap at Caulfield. “He’s getting better with age I think,” Payne said. How far Widgee Turf presses on this preparation remains to be seen. “He’s had a long preparation and we’ve been trying to utilise this period during winter and early spring to try to get a bit of give in the ground,” Payne said.